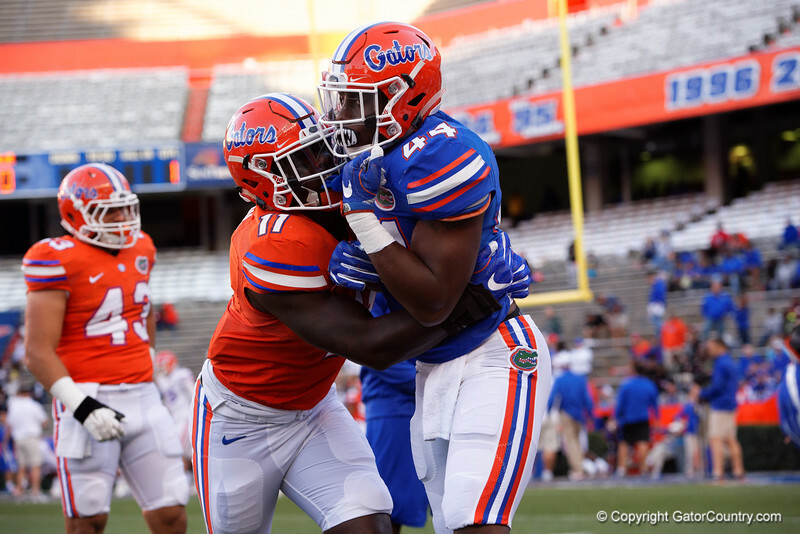 Florida Gators linebacker Vosean Joseph and Florida Gators linebacker Rayshad Jackson during pre-game drills as the Gators conclude their 2017 spring practices with the 2017 Orange and Blue Debut. April 7th, 2017. Gator Country photo by David Bowie.